Profiling Java code - With AQtime Pro you can analyze your Java 1.5 and 1.6 applications. Automate profiling using scripts - profiles VBScript and JScript functions that are executed by the Microsoft Scripting Engine. Profiling at routine and line level - profile your code at any level of detail. Integration into IDEs - ntegrates with Microsoft Visual Studio and Embarcadero RAD Studio IDEs. x64 code support - Supports both 32- and 64-bit applications on both 32- and 64-bit Windows operating systems. Profiling under a user account - With AQtime, you can easily configure profiler settings and analyze your application under a user account other than your current user account. 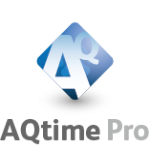 Open, extensible architecture - AQtime Pro is not just another utility with static built-in functionality. (including 400 MB on the system drive for installing AQtime samples and SDK), and 500 MB for using the product. Note: AQtime may consume a lot of memory to store profiler information. Therefore, when working with large projects, it is recommended that you allocate as much physical RAM as possible so that Windows does not use the swap file. Microsoft Windows 8 (either 32-, or 64-bit edition). Note: Profiling of Modern UI (Metro) applications is not currently supported. Microsoft Windows 7 (either 32-, or 64-bit edition). Microsoft Windows Server 2008 (either 32-, or 64-bit edition). Microsoft Windows Server 2008 R2 is also supported. Microsoft Windows Vista (either 32-, or 64-bit edition). Microsoft Windows Server 2003 (either 32-, or 64-bit edition). Microsoft Windows XP (either 32-, or 64-bit edition).